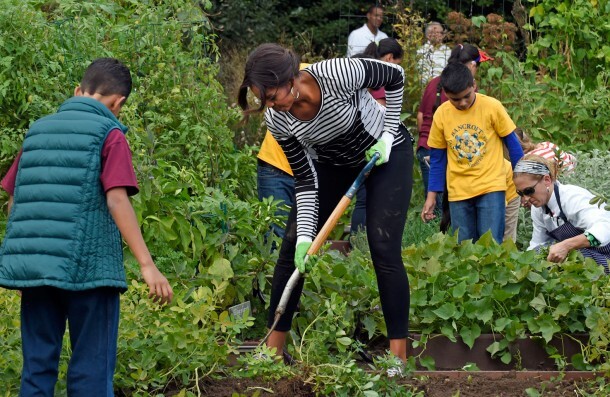 First Lady Michelle Obama is joined by school children as they harvest peanuts in the annual fall harvest of the White House Kitchen Garden at the White House in Washington. In celebration of Farm to School Month, Obama invited students from Arizona, California, and Ohio to participate in the fall harvest. These schools were selected because they are participating in farm to school programs that incorporate fresh, local food into their school meals, and they teach students about healthy eating through school gardens and nutrition education.